The SFPD reportedly announced to the Pedestrian Safety Advisory Committee this week that the MAIT team had been renamed, and a cursory Google search of the term “accident” on the SFPD website turns up only one result, found in the description of the Traffic Company. All other instances on the SFPD’s web pages appear to have been removed. None of the SFPD’s press releases and daily press recaps in recent weeks appeared to have used “accident,” either. The SFPD deserves credit for responding to this long-standing oversight. The vocabulary chosen by law enforcement officials is important — it can set the tone for how traffic violence is viewed by officers and the public. Looking forward, we’re hoping to see the department’s view of deaths and injuries on our streets as preventable tragedies consistently reflected by thorough crash investigations and data-driven prioritization of traffic enforcement. A bit of progress. Good news. Words have consequences, and hopefully by changing these words there will be more justice, less automatic forgiveness, and a higher degree of personal responsibility shown by vehicle operators. 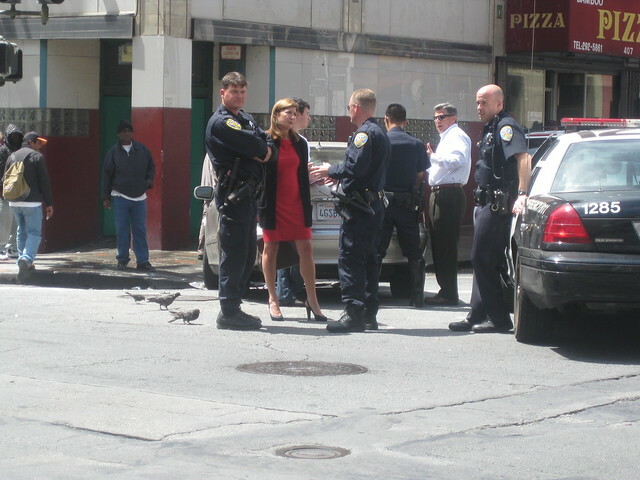 SFPD is clearly waking up to the new reality of urban transit, and they do deserve credit for coming around. Well, most of the states’ “Departments of Highways” were converted into “Departments of Transportation” back in the 1970s…. and yet they still mostly act like departments of highways. The change in speech is good, but I hope that changes in behavior follow, and less than 40 years late. Author Michael Connelly’s character Harry Bosch says “there have to be consequences” for crimes when discussing punishments for whom he could easily be sympathetic. This is just fiction, but I wish the same principle was applied to road injuries. If someone is hurt, and someone else is at fault, then other than the injury itself, there “must be consequences” instead of the present standard of neglect.